The International Criminal Court decides against investigating Israel over 2010 flotilla, say documents seen by Reuters. The International Criminal Court has decided against investigating Israel over the 2010 Mavi Marmara incident, Reuters reported on Wednesday. Citing court papers it viewed, the news agency reported that while international prosecutors believe Israeli soldiers may have committed war crimes during the raid that killed nine Turkish activists, they have decided the case is beyond their remit. The move by lawyers at the International Criminal Court is likely to enrage Ankara which accused Israel of mass murder after the incident. The Mavi Marmara, which claimed to be providing "humanitarian aid for the people of Gaza," defied orders to turn around and dock at the Ashdod port. After it ignored repeated warnings to change course, the IDF boarded the vessel - only to be attacked by Islamist extremists on board. The soldiers had no choice but to open fire, resulting in the deaths of nine of the IHH members on board. "The information available provides a reasonable basis to believe that war crimes under the Court's jurisdiction have been committed in the context of interception and takeover of the Mavi Marmara by IDF soldiers on 31 May 2010," read the paper seen by Reuters on Wednesday. But the lawyers decided the crimes in question were not of sufficient gravity to fall under the court's jurisdiction, the papers added. Prosecutors added they had reached these conclusions on the basis of publicly available information. "Not having collected evidence itself, the Office’s analysis in this report must therefore not be considered to be the result of an investigation," the paper read, according to Reuters. The court has no jurisdiction over crimes in Turkey or Israel, since neither is a member of the court. 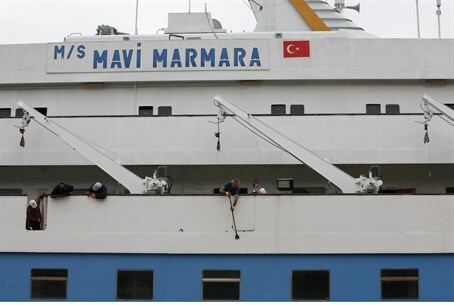 However, one of the vessels, the Mavi Marmara, was registered to the Comoros Islands, which is, noted the news agency. It was the Indian Ocean state that referred the raid to the court, leaving prosecutors no choice under the court's statute but to begin a preliminary examination. The United Nations' 105-page Palmer Report has already concluded that Israel's naval blockade of Hamas in Gaza is both reasonable and legal, and that the passengers on the boat had lain in wait for the commandos. An Israeli panel, the Turkel Commission, also concluded that the IDF acted in self-defense against the terrorists on the Mavi Marmara. The panel was headed by retired High Court Justice Yaakov Turkel and included two foreign observers, Brig. Gen. Ken Watkin of Canada and Lord David Trimble of Northern Ireland.